Merkur is to safety razors what Marvel is to superheroes. There’s something in Merkurand Marvel that brings out the man in you. A fight among the stallions of the Marvel Universe will take your eye away from everything this-worldly. Similarly, Merkur straight razors are all so good that they jostle one another in the market for space, sharpness and rigor. There’s the Long Handle that is full of elegance and deftness. The Heavy Duty gives you the most masculine clean shaves. The Futur is as satin as a silver Ferrari. I could go on and on (sigh). For all of you who had asked, here’s an in-depth review of the best Merkur safety razors compared to one another. You can choose one that suits your mood and personality. What characteristics will you look when buying a markur safety razor? 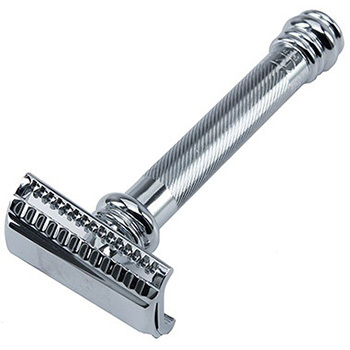 What makes the merkur long handle safety razor better choice than the rest? Merkur Solingen is the razor manufacturing subsidiary of Dovo Solingen. While Merkur and Dovo both deal with razors and blades, Dovo also manufactures scissors and knives. The Solingen based company was founded in 1906 and is expectedly one of the oldest manufacturers of the safety razor along with other brands like Gillette and Parker. World class manufacturing standards have helped Merkur export almost 75% manufactured products throughout. There is a little bit of heritage in every Merkur you own! Make your selection from available types: There are quite a few types available in Merkur safety razors. There are long-handled and short-handled variants. Some are exclusively meant for African-American beard types and some fare well on dense Caucasian beard. You should be wise enough to understand your beard and skin type and choose a Merkur accordingly.If you are a beginner, go for a Merkur that serves as the best safety razor for beginners only. How firm is the grip? The grip of a straight razor must fit snugly inside your fingers you hold the razor. It is important that it does not slip out of the hand even when you are using it wet. Most Merkur razors do reasonably well here. However, a few are short and stout by shape. It can be difficult to grip these with large hands. Does it offer chrome finishing? The chrome finishing is one of the most beautiful finishes that come on safety razors. Most of Merkursafety razors offer distinctive variants of chrome finish. You can make a choice between the shiny and less shiny ones. 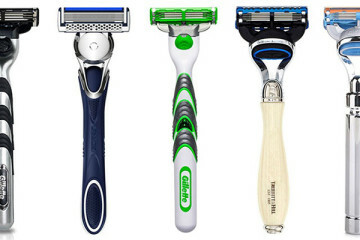 There are also some satin finish razors that you may find attractive. Is it designed for closed shave? Yes, you need not think twice about this one. It is a Merkur, it has been custom made to offer great closeness, every time. This is why you should concentrate on the sensitivity of shaves and not on the closeness with this brand. It is always close. The deal is sealed if it respects your skin sensitivity well. Check out the weight of the razor: A decently distributed weight of the razor gives added traction when shaving. Heavy safety razors have always been a feature of Merkur. There are also quite a few non-heavy ones. Even for them, the alignment and the consistency of weight is a must that needs to be taken into consideration. It is slightly easier for the heavier models. Does it worth the money? 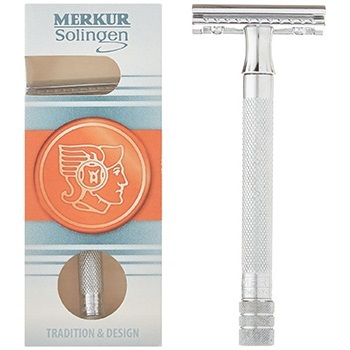 Merkur is an old and reputed safety razor brand and charges well for its products. If you are looking to spend on it, you will have to be sure about the validity of the price. These products are almost always price above the market rate. You will have to look closely into the durability as well. Even Merkur finds it difficult to come out with a just competitor for this long handled razor. The build on this safety razor is better than most products grouped as the “best safety razors” out here. It gives you the closest shaves a safety razor could possibly offer. 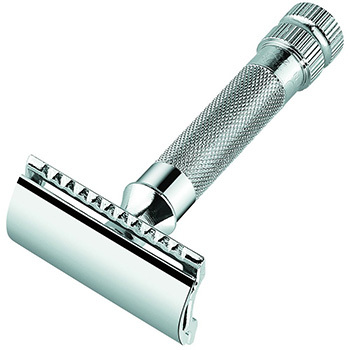 The high quality stamp of Merkur is reflected in every up and down stroke you make with this razor. The chrome finish makes sure this lasts a lifetime for you. If you can make a combine of this razor and one of the best blades for safety razors, you are all set to be the morning ninja with unbeatable sharpness. 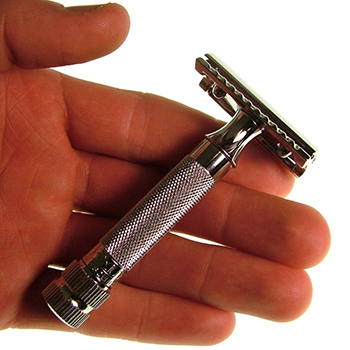 It will particularly suit your style if you have large hands find smaller razors difficult to grip. The extra ribs mean that people with smaller hands can use it too. Like most other Merkur products, this one has been made in Germany, the land of precision. Impressive momentum and grip with the large handle. Great construct for perfect shaves. May pose a problem with ingrown hair. Body may crack with excessive water-use. The Heavy Duty from Merkur is a short and sturdy double edge safety razor that looks like it is built for the purpose. You cannot miss the zinc-alloy with chrome plating right at the first sight. We personally recommend the Merkur HD for you if you have African-American beard type. This is among the few best safety razors for African-American men and you will know why from just the first use. For one, the closeness with which the Heavy Duty fights ingrown hair is amazing. The Heavy Duty is built in a way that it removes intensely dense hair from incredibly sensitive skin. While many experts will recommend using a custom straight razor for sensitive skin, you really cannot go beyond the HD. It takes great care of the skin and is equally aggressive with wire-like and ingrown hair. You may still get that occasion nick for lack of technique though. Read our detailed Merkur HD review to know more. Works wonders for Afro-American beard type. Removes ingrown hair with surgical precision. Takes great care of sensitive skin. Great grip on the body. Could slip out of large hands. Does not go well with all blades. Chrome flakes come off with use. The HD 34C is a variation of the original Merkur HD. You can actually tell that without even reading the name on the list. It carries the signature wired pattern grip of the HD. Well, the handle is extra thick in this one for those who complained of the grip in the Merkur HD. The reliable grip serves people with large hands and small hands equally well. The new handle and the grip have been precision-honed in Germany to give you that extra peace of mind. The closeness of shave has been retained from the HD and so has the performance on ingrown hair. 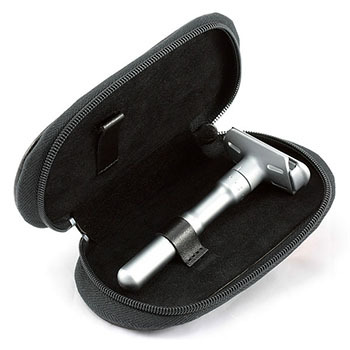 In fact, with that great a grip, you can declare a stricter war on the ingrown hair, even if you have sensitive skin. However, there might still be the odd problem if you have exceptionally large hands. The possibility of that happening with you is very rare though. Extra fat handle for better grip. New design precision-honed in Germany. Truly great for daily military shaves. Too mild when shaving against the grain. Very small for large hands. If you have used or seen the MerkurHd or its other variant, you cannot fail to notice how the Futur looks distinctly different from those. That is because it is a distinctly different product from Merkur. 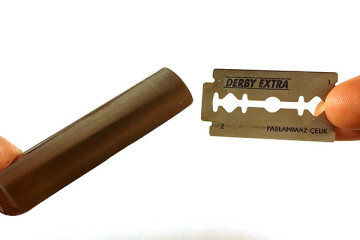 For a basic, the double edge construct allows to shave on both sides of the razor. Unlike many other safety razors you might have used, the blade angle can be adjusted even as you shave. The Satin finish on the Futur does not only make it look different from the others. It also gives you that distinct feeling of grip. Like all things Merkur, you can expect a close shave each time with the Futur. The real difference is the control you have on its aggressiveness. It can perform mildly and it may be aggressive if you choose. Just toggle the exposure dial and it is ready to adjust. The basic chrome plating makes the finish last for really long. Click to see pricing Here! 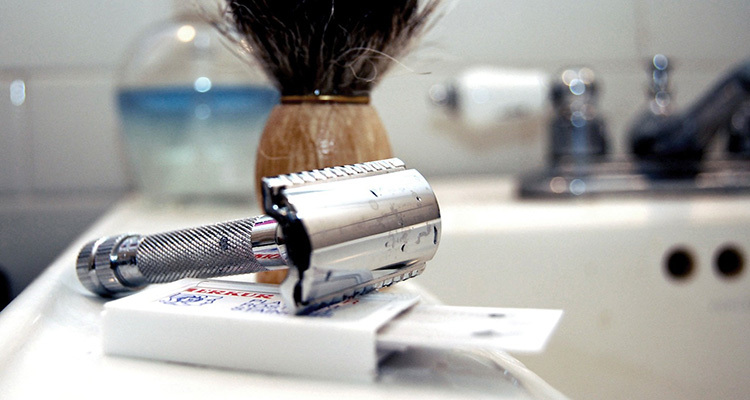 Adjustable dial allows toggling between mild and aggressive shaving. Fits solidly in the hand. Could be ruined with a bad blade. The love affair of Merkur and short safety razors is popular. But there is some different kind of magic at work whenever they decide to create a long safety razor. And for long safety razors, the Barber Pole is a Merkur classic. We are not suggesting that it is notch better than the original Merkur Long handle. But it definitely has the necessary class to stick in there for long. The 3.4” handle gives you enhanced momentum and greater traction. You can achieve closer shaves with less effort on the Barber Pole, courtesy the long handle of the razor. The chrome finish is pretty polished and you have a solid brass core than runs along with it. The brass core is responsible for giving you that extra weight behind each stroke. You can almost feel its weight with each stroke even when you are using lesser force on it. Add to it the ease of changing blades and this becomes quite the razor to beat. Long handle generates better momentum. Heavy brass core gives traction with lesser force. Works equally well on both sides. May be slightly heavy for beginners. The Long Handled safety razor from Merkur is simply the closest a safety razor can get to perfection. A lot of thought has evidently gone into the design. The momentum is the best for any Merkur. There is nothing surprisingly brilliant about the razor. Yet, it is such a fine combination of all the basic aspects that a safety razor cannot possibly get better in the next hundred years. We swear by that! Safety shaving by Merkur is always safe. You just get to decide which among its children is your best friend for the perennial morning.